We offer custom work on garages & porches for the homes we build in Hickory, NC. 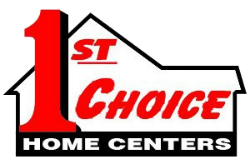 Custom Work in Hickory NC – At 1st Choice Home Centers, we offer custom work on garages & porches for the homes we build. If you are considering hiring us to build a home for you and you are interested in adding a custom garage or porch, give us a call today. We have fair pricing and will do the job right the first time. We can provide custom work to properties in Mooresville, Hickory, Troutman, Maiden, Harmony, Taylorsville, Conover, Union Grove, Mocksville, and Newton, North Carolina. Garages: Garages are very useful for storing all types of things, including personal vehicles, recreational vehicles, construction and lawn equipment and tools, toys, games, surplus items, and more. If you don’t have a garage, this can decrease your property value, so adding one is a great way to make your new home even better. Porches: During the warmer months of the year, most people enjoy spending time outdoors with their friends and family. If you want a comfortable space in the yard of your new home to spend time with loved ones, let us know, and we can do some custom work to build and install a porch, as well. We use high-quality building materials, and our staff is fully trained in proper construction to ensure your satisfaction. For more information on our custom work, please contact us today! To see some of our Custom Homes, please click here. Note, more homes coming soon.